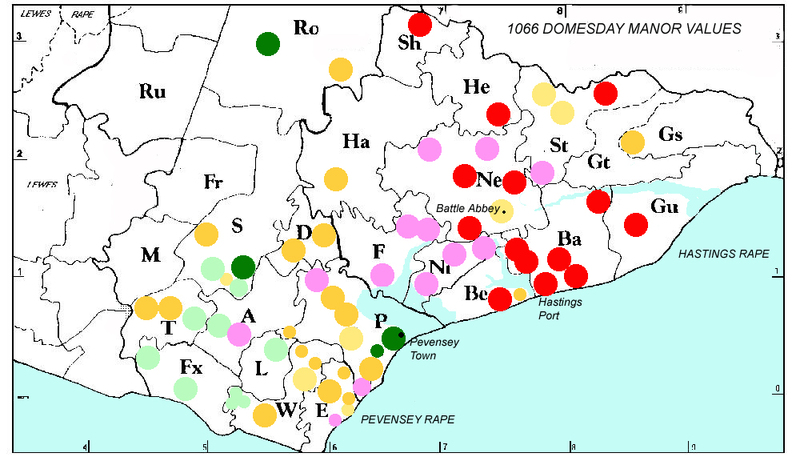 MAP 3 shows the geographical spread of the study manors with each manor given a value at the time of the invasion. This value is then marked according to a band of values expressed as a percentage of the pre-invasion value. A table of values is provided giving the information upon which this diagram is based. (59) I apologise for the low quality print on this image due to a bug in Word which failed to allow me to recover the original embedded document. Higher quality prints are included in the bound copies, available from the author as detailed at the front of this document.